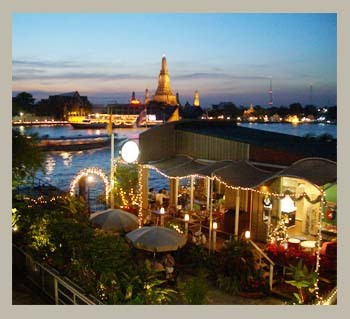 Bangkok 's riverside boutique hotel on the bank of the Chao Phraya River. The hotel is located in Rattanakosin Island, the preserved historical-cultural area in the heart of old Bangkok. We are only a few minutes walk from the Temple of the Reclining Buddha (Wat Po), Wat Po Thai traditional massage school, and the Grand Palace, as well as a myriad of other fascinating buildings dating from Bangkok's origins as a capital city. ..... Whenever you decide to spend some precious moments in Bangkok, make sure that you get settled near the Chao Phraya River, an area where you are close to many of the city's great historical, magnificent structures and the fascinating stories behind them. Tucked away on Rattanakosin island is Aurum The River Place, a compact-sized boutique hotel on the bank of the river that is within a short walking distance to the Grand Palace, the Temple of the Emerald Buddha, the Temple of the Reclining Buddha (Wat Po) and a good number of impressive and interesting historical attractions that should not be missed. Aurum The River Place is a four-storey European style edifice stylishly crafted as a modern, yet classic, luxurious hotel. It has all the conveniences and comforts you can expect. At Vivi The Coffee Place, guests will have the stunning view, on the opposite side of the river, of the Temple of Dawn (Wat Arun), one of Bangkok's best-known landmarks, and the neighboring temple as well. Watching the river life passing by -passenger ferries, long-tail boats, luxury tourist boats, barges laden with goods - will give you a relaxed feeling of the peaceful pace of Thai river life.